My PR on this course is 5:32 and the last time I did the race I did a 6:45. Pretty big spread. 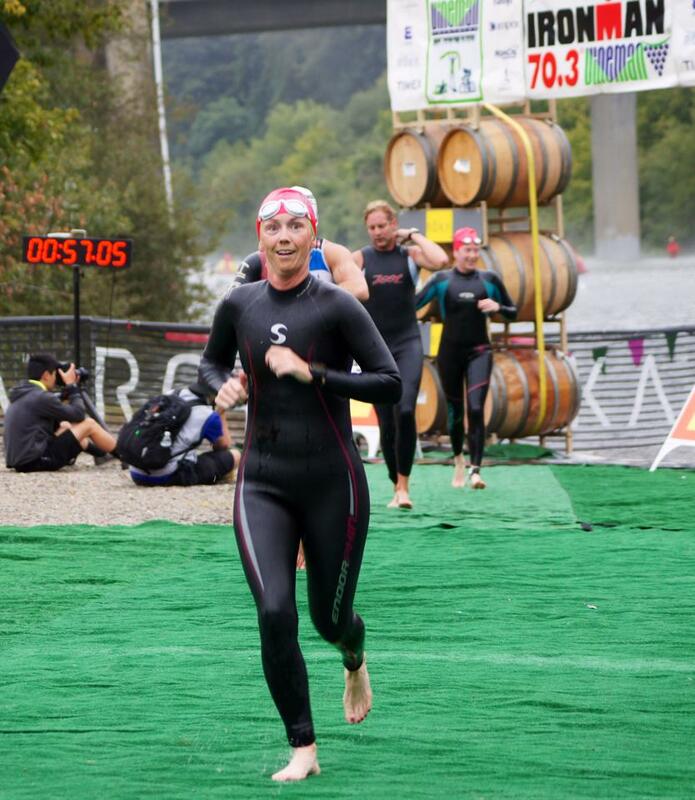 I was very confident about my swim, fairly confident about my run, and very worried about my bike. I just can’t seem to make my bike go fast. The day started out like any normal race day. 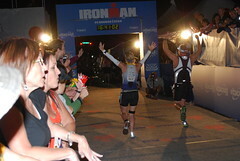 Up, eat, use the bathroom, get over to the race… As we were walking into transition I realized I had made a HUGE error. I forgot my bike shoes! Not really sure how I managed that but I had a very early wave so I had very little time to fix my mistake. Luckily, we were staying close by and luckily I had my running shoes on! I racked my bike and took off running back to the room, grabbed my shoes, then ran back to the race. About 1.5 miles total with my wetsuit on from the waist down. Warm up done! I made it through transition and got on my bike. This is my weakness so I was very aware of how often I was getting passed. As usual, I got passed a bunch toward the end. Turns out, 41 women in my Age Group passed me. I hate that. I don’t know what to say about the cycling. It isn’t going well right now. 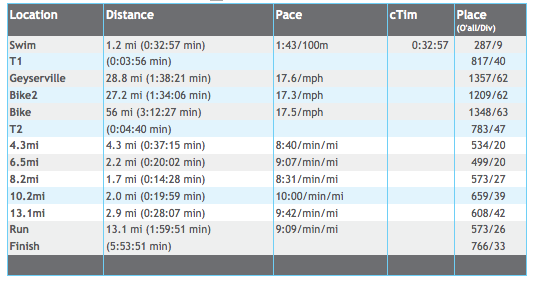 I have a good chunk of time to fix this before Ironman Arizona. Now, Stuart had started the day 12 minutes after me and we figured after the swim I would have a 25 minute head start on him. There was a very good chance he would catch me on the run. He didn’t catch me so after I finished I waited in the finisher area for him to come in. And I waited… I started to get a little worried. It was a good 30 minutes and he still wasn’t in. I eventually went and checked for his bike and grabbed my phone so I could see his times so far. His bike was there (with his stinky shoes) so I felt a little better. His bike times looked like he must have had a mechanical issue but there were some run times coming back. After using my mad math skills I guessed what time he would finish and waited out on the course with our friends. Finally he came running in; smile on his face and everything! Turns out he had run over a drill bit and had a bit of drama getting it fixed. You can read his blog about that! This is a fabulous race. I would recommend it to anyone! But for me, I have to be honest at this point; if it wasn’t for the fact that I am signed up for Arizona, I would happily hang up my tri bike and call it a year. I am finding less and less motivation to keep doing these races. They are very complicated and so much work. 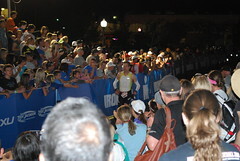 I will get my act together and get the training done for Arizona, but after that I am not sure how many triathlons will be in my future. Of course, I reserve the right to change my mind! 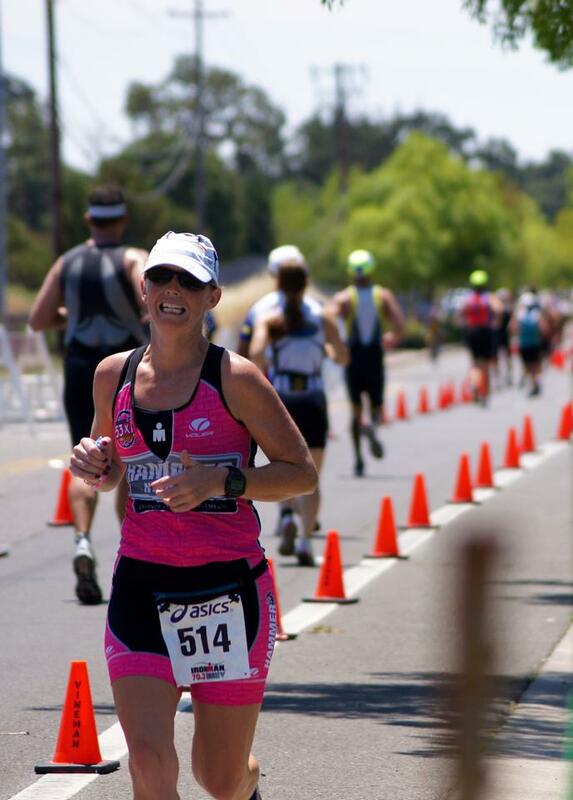 Great race report, I have always wanted to race at Vineman. Someday maybe. 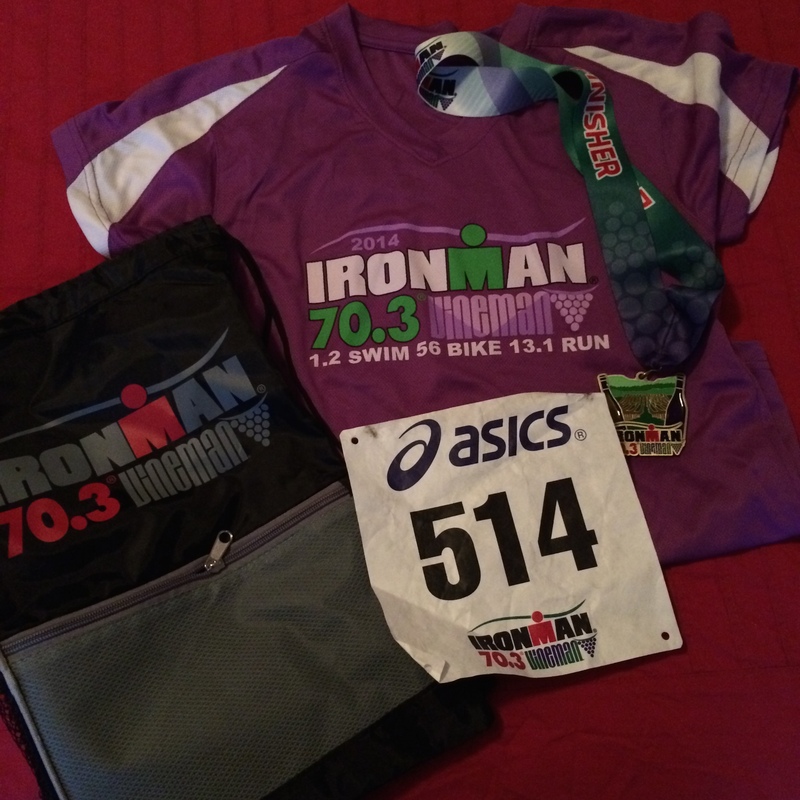 I just raced a 70.3 closer to home and didn’t get the results exactly I wanted either. It was probably the toughest race mentally to date for me and of course that transcends into everything. Racing is tough and stressful and sometimes a break is good to rekindle our passion for racing. Trainng is ok for me but the racing is tough. There is expectation that may or may it be met and that is the game changer. I could feel myself struggle during my bike, got down on myself then questioned why I was doing this in the first place. I remembered that its not to prove anything to anybody. My 40 ish body is taking good care of me. I am healthy, have a great husband and kids, doing something i love and am very blessed. Numbers don’t really seem so important. That’s not to say I don’t want to improve, but the journey is what counts not my destination in that one day. Just thoughts! Have a great day! Great report. Congrats on a great race and thanks for coming to see me as I finished, despite my daze! !